Bioprinting uses a 3D printing process to create human tissue, which will one day print human organs for replacement in patients. From the lab that brought us the first printed bladder to be implanted into a human comes the brand new 3D printed cartilage. Futurist Christopher Barnatt of Explaining the Futre has some fascinating predictions about the future of 3D printing, and in particular bioprinting. 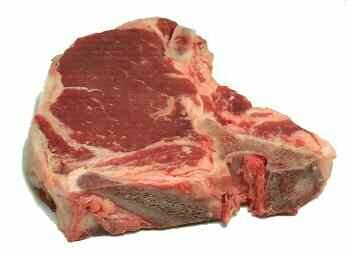 “Bioprinted” meat is on the way. 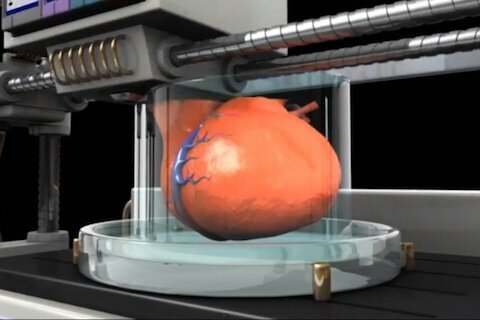 It’s just a way of using bioprinting, which has been used by companies to produce human tissue and organs. Stanford University has developed an easy-to-make, highly-conductive, 3D-printable Jell-O-like material that could help create many futuristic uses. This nifty infographic illustrates how the incredible technology of bioprinting works and where it’s headed. Pass it around. Researchers at the University of Pennsylvania have discovered a way to incorporate a vascular system in the 3D printing of human tissue. 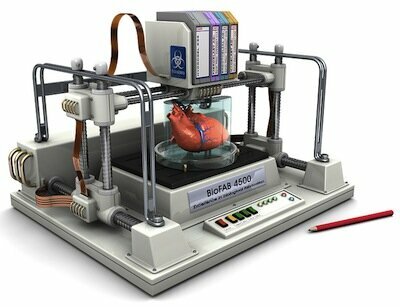 What if you could 3D print new organs, rather than waiting for a transplant? It’s being done now by Dr. Anthony Atala, as he discusses in this excellent, and inspiring, TedTalk. While several research teams and organizations are working to make bioprinting a reality, Organovo consistently appears to be at the head of the pack.